How to Uninstall .NET Framework Assistant from Firefox? 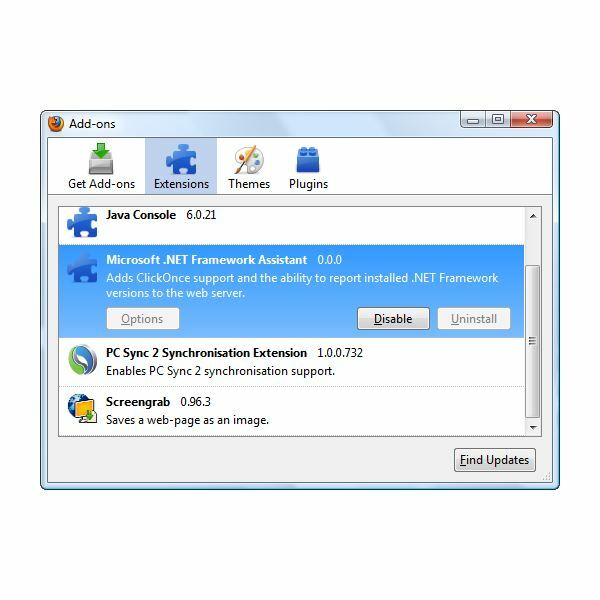 Microsoft has installed the Microsoft .NET Framework Assistant add-on and Windows Presentation Foundation plugin in Firefox browser, to allow ClickOnce applications to run or update without the need to visit another webpage to install, run or update an application – whether it’s web-based software or locally installed in the system or browser. Some end-users did not like the said Microsoft add-on and plugin because they did not know that the plugins would be installed when updating Microsoft .NET Framework software via Windows Update. Clicking the "Uninstall" button for Microsoft .NET Framework Assistant add-on will not completely remove in Firefox or your computer. 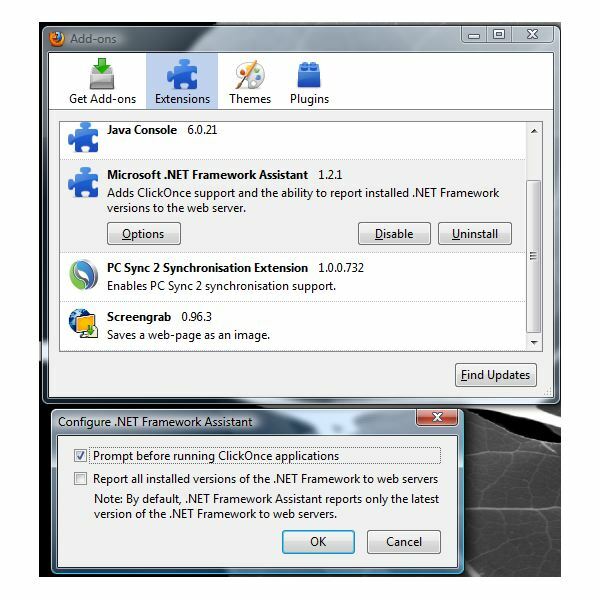 If you prefer to permanently remove the .NET Framework Assistant add-on and Windows Presentation Foundation plugin, follow the steps in this guide, in proper order. Uninstalling .NET Framework Assistant using the "Uninstall" button in the Add-on Manager of Firefox does not remove the .NET Framework assistant and its files in Firefox or your PC. You have to follow the steps in this article to manually uninstall the said add-on and related plugin. Note that the following steps require access to the registry editor in Windows. If you are not comfortable in using the registry editor, do not proceed by seek help from experienced user. You should backup the registry before making deleting or editing any registry data. Open the Add-on Manager in Firefox browser, highlight the Microsoft. NET Framework Assistant and then click the "Uninstall" button. Allow Firefox to restart the browser. If the "Uninstall" button is greyed-out, it means you have the old version of .NET Framework Assistant that was released by Microsoft. Proceed by closing Firefox and use the next steps below to permanently remove the said add-on. Open the registry editor in Windows by typing regedit in the run command/box. Open Firefox to verify that the general.useragent.extra.microsoftdotnet data does not exist by typing about:config in the URL address bar of Firefox then hit enter key on your keyboard. Type general.useragent.extra.microsoftdotnet in the filter box. If you find the general.useragent.extra.microsoftdotnet, right-click the entry to reset. If it does exists, close Firefox. 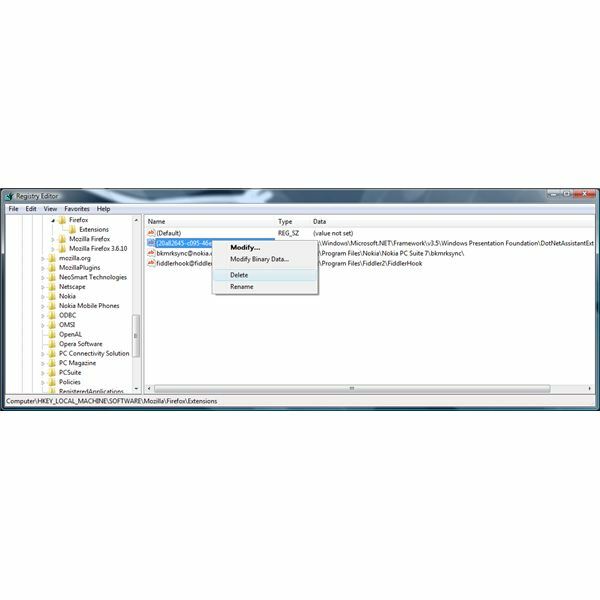 Open "My Computer" or "Windows Explorer" and browse to C:\Windows\Microsoft.NET\Framework\v3.5\Windows Presentation Foundation folder. Delete the NPWPF.dll file and the DotNetAssistantExtension folder. 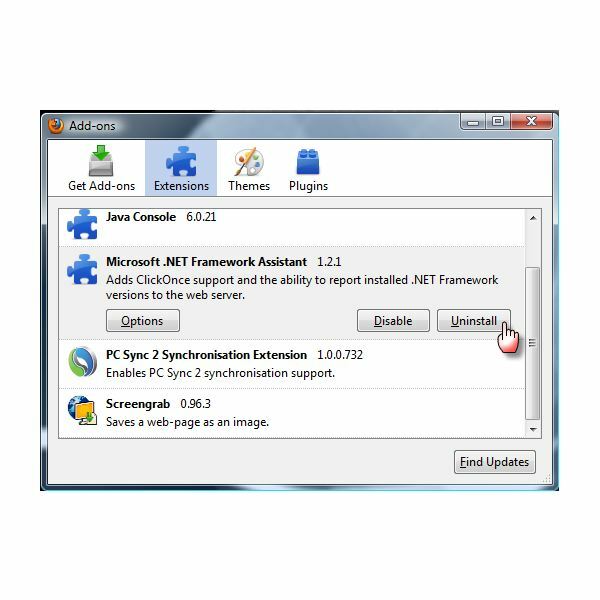 Close the Windows Explorer and start using Firefox without .NET Framework Assistant add-on and Windows Presentation Foundation plugin.